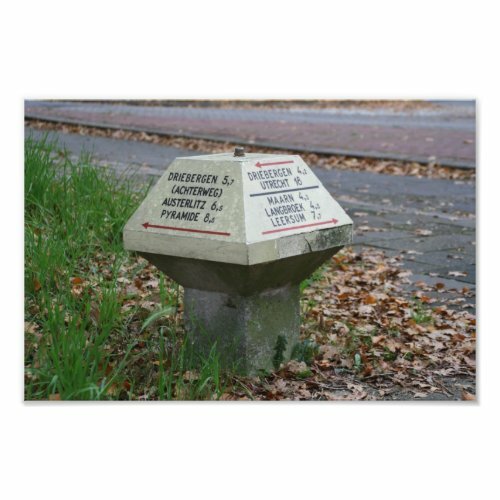 This is a photo of a typical Dutch sign post. It is aimed at pedestrians and cyclists, and is only knee-high. Here in Holland we call it a paddenstoel, or toad stool.